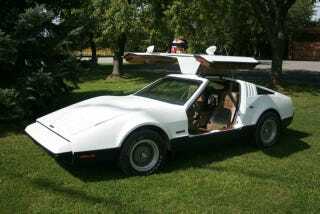 I'm driving a Bricklin next week!! I’m actually driving the exact car pictured here and I’ll be shooting a video on the car for Driving.ca. It’s a 1974 Bricklin SV-1 in ‘safety white.’ What do you guys want from a Bricklin video? Engine noise? Driving impressions? HD closeups of the hilariously bad panel fitment?